In conjunction with Urinetown’s West End transfer, the gala will introduce this new collaboration with Water.org to raise awareness of the global water crisis. 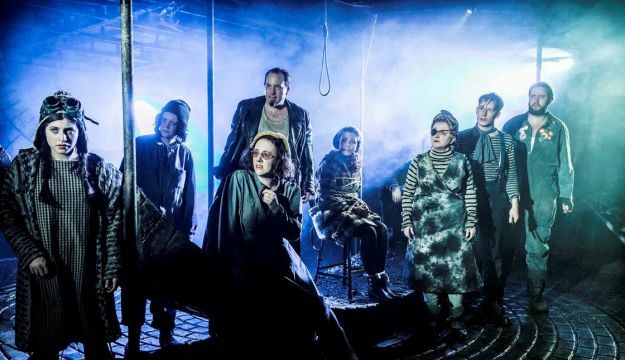 Urinetown is an hilarious and satirical musical set in a futuristic, dystopian society where the Earth’s water supply has been depleted, therefore making private toilets unthinkable and against the law. Through this new collaboration with Water.org, Urinetown aims to raise awareness about the real global water crisis that the world’s population is facing today. This special gala performance celebrates the beginning of a long-term fundraising collaboration between Urinetown and Water.org. Urinetown will be donating proceeds from the gala to the nonprofit organization, as well as providing ongoing support in conjunction with its West End run.